are a completely new concept in make-up. Born out of the popularity of "skincare meets make-up" products like BB & CC creams, this product allows you to create a custom blended finish and coverage by mixing it with any of your moisturizers. Our challenge was to introduce this product in a way that educates the user on what it is, and how to use it, but to do so in a way that stands out amongst the noise of beauty how-to's that currently saturate the social space. Our answer? 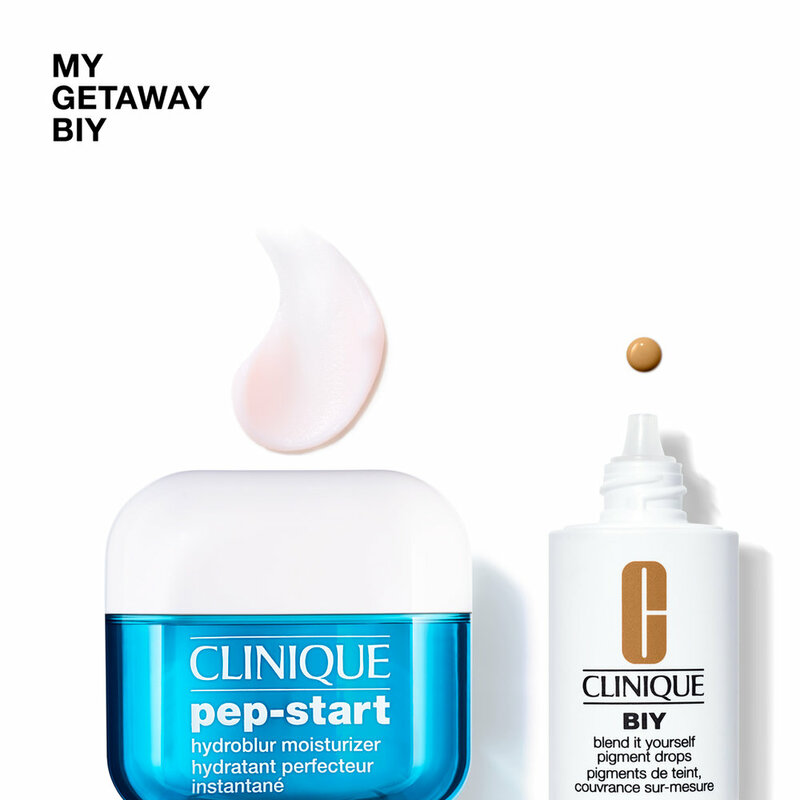 One part “visual recipe,” two parts quick-hit, Clinique chic beauty how-to. We created social videos & a number of additional still and animated assets that featured different BIY + moisturizer combinations using three different models varying in ethnicity (a first for Clinique!) — with each #myBIY inspired by a different occasion.